I got some great feedback on this topic on strength. 1Departmento de Educação Física, Universidade Gama Filho, Rio de Janeiro, Brazil. But as practical users, we look at it ,as you can see fundemantally diffwerent. 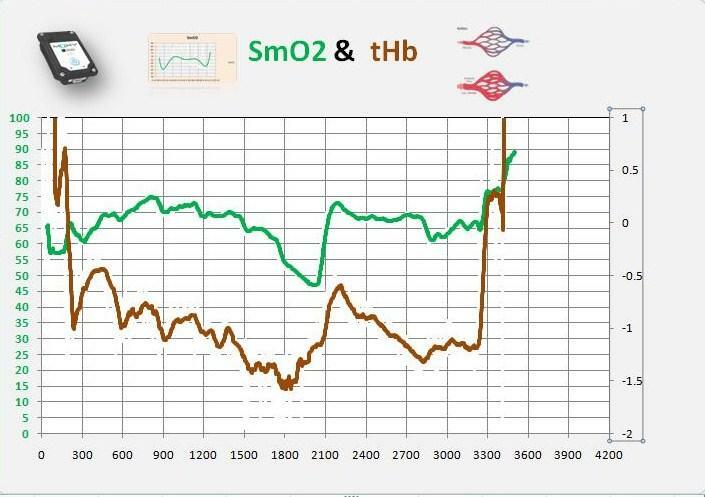 All current studies on strenght in combination with NIRS are looking just at the oxygenation information. As you can see in the summary above. Muscle oxygenation was influenced by different resistance exercise protocols depending on the load or duration of exercise, the number of sets and the muscle being monitored. This is absolutely true . What is missing is the information why the SmO2 reacted as it reacted. 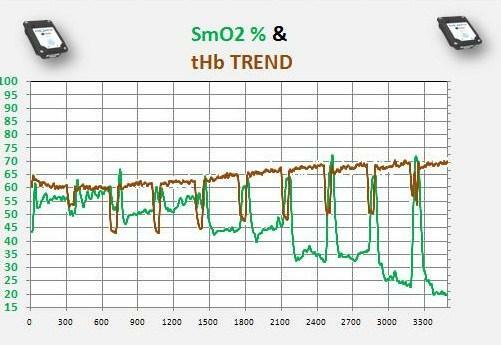 The reaosn why it is missing is the problem, that we look at SmO2 or O2Hb or HHb just form the utilization point of view. So justy because SmO2 drops does not help us to understand really for sure why. Is it really , that we use more than we deliver . Yes possibly, but it as well can be a shift in the O2 disscurve due to respiratory trends but even more important it can be due to very different delivery situations. 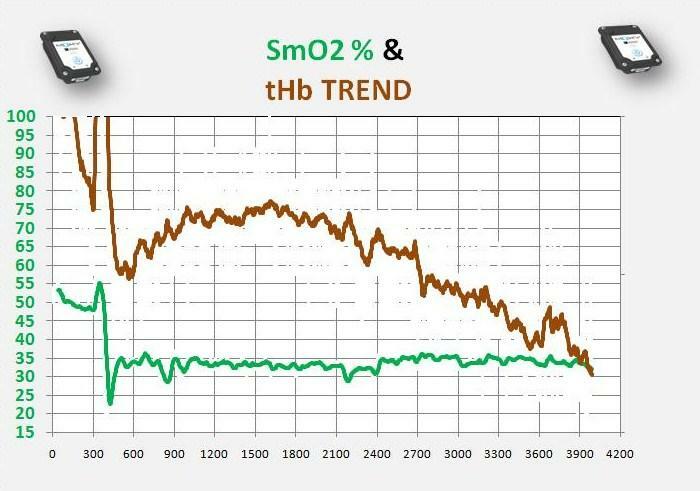 When looking at SmO2 ( O2Hb or HHb trend alone we miss some crucial questions. Is it a sufficient blood delivery buy utilization outstrips delivery or is it in a extreme situation. ( not that extreme in strength training ) a simple delivery limitation due to occlusion and as such SmO2 drops as there is no additional delivery for the region. so it is NOT an underdelivery of available O 2 but simply no delivery due to occlusion. This has some fundamental different reactions , as in one case the delivery system may be limiting, in the other case the storage ability may be limiting the duration of the performance.